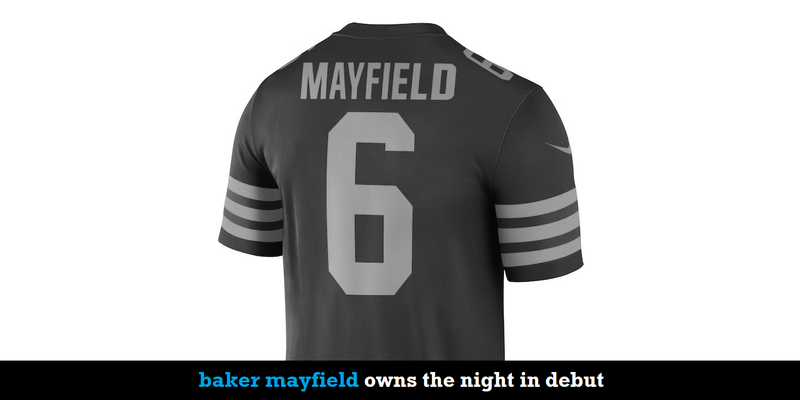 Ready or not (and judging by the chants at FirstEnergy Stadium on Thursday night, it seems most people in Cleveland fall into the category of “ready”), the Baker Mayfield show has arrived in Browns Town. 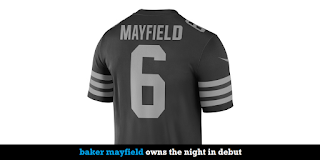 The guys relive Mayfield’s electric debut, the circumstances that made it happen earlier than the Browns were steadfastly planning for, and where the rejuvenated franchise goes with its QB of the future apparently set to take the reins full-time. Plus, the Browns’ Color Rush jerseys join Cleveland sports’ history of special uniforms for big games and the NFL’s imperfect, yet intoxicating on-field product.